Ahhhh Summer. I never want it to end. I love spending mornings at the beach, and afternoons in the pool. I love going to the farmers market and picking out uber ripe tomatoes, and super sweet corn. I love eating lobster and drinking rosé. I love wearing flip flops and bathing suits. I love having cocktails at sunset and eating dinner outside. I love summer foods. Summer fruits, summer vegetables, and summer recipes. There are some recipes that are strictly for summer. And some that are just better in the summer. 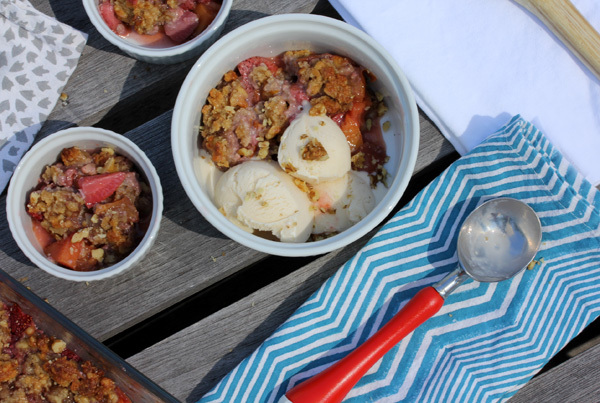 Fresh fruit crumble is just better in the summer. Simply because the fruit and berries ... are .... fresh. 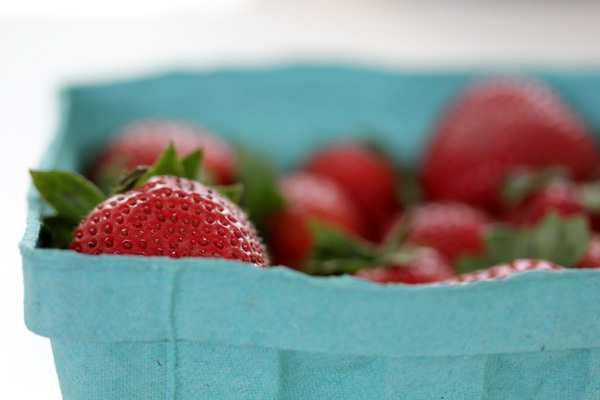 On a trip to the farm stand the other morning, I was so happy to find my first bunch of squishy ripe peaches, which just happened to be sitting right next to a pint of bright red, beautiful, ripe strawberries. Heaven in a little green bio-degradable container. 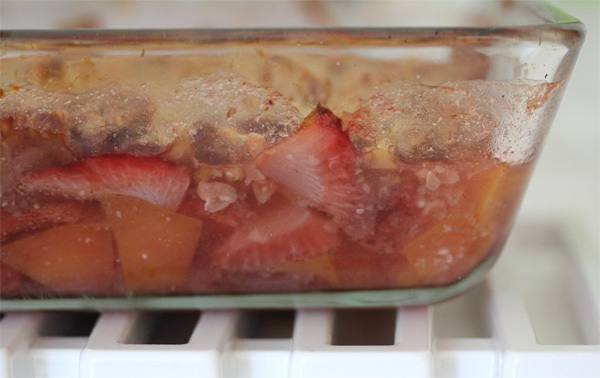 You can make cobbler with any combination of fruits that you like or whatever is fresh and ripe. Go crazy. However, I happen to think that this combo right here is a winner. This is a healthier take on the classic recipe. It is also vegan, if you opt to use a non-dairy butter such as Earth Balance, however if you prefer to use real butter it is a one to one ratio. Grease an 11x7 baking dish. 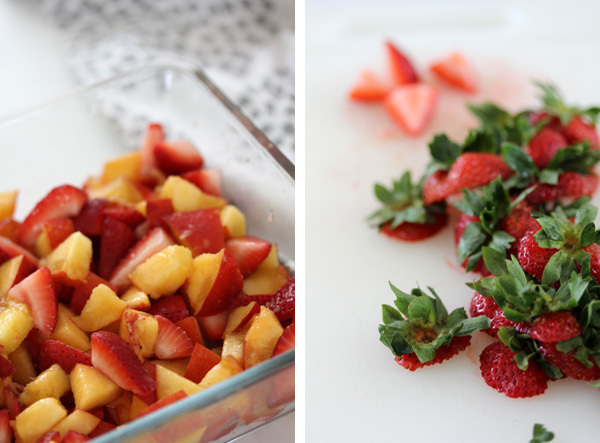 In that same dish place all of the ingredients for the fruit base: strawberries, peaches, agave, and orange zest. Give it a toss to combine and set aside. In a separate bowl, combine the amaranth flour, almond flour, chopped walnuts, rolled oats, nutmeg, and cinnamon. Stir to combine. Then add the agave and the softened butter. Mix until all of the ingredients are combined. You will have a sticky mixture. Spread the crumble mixture on top of the fruit mixture by spooning it on and flattening it out with your fingers, making sure to cover all of the fruit. Cook for 30-35 minutes, until the bottom is bubbling and the top is browning. Allow to cool for 10-15 minutes. Serve warm with a scoop of ice cream.